I'd like to welcome you to my website! If you have arrived at this page then you are probably looking for a magician in or around Bridgend. I am based in Carmarthen but travel all over South Wales so distance is no object. I have been performing magic for many years so please have a look at my reviews or go to the Home Page to see everything I can offer. 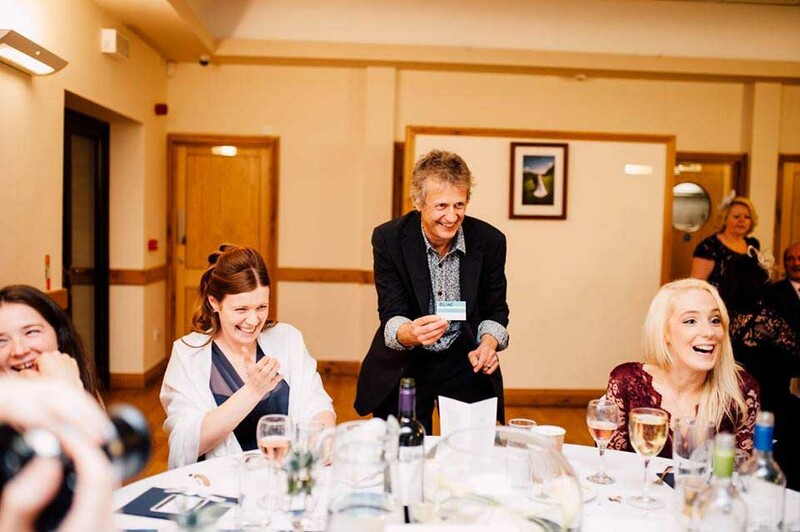 I have been performing my magic in and around Bridgend for twenty years. My unique talent has brought amazement and laughter to many weddings, corporate events and private parties there. If you have never seen close up magic before have a look at what you can expect from a professional magician. Whatever kind of event you are planning I will be happy to advise on the best time for the entertainment to take place. Magic is very versatile at can be performed to small groups of people wherever they are. 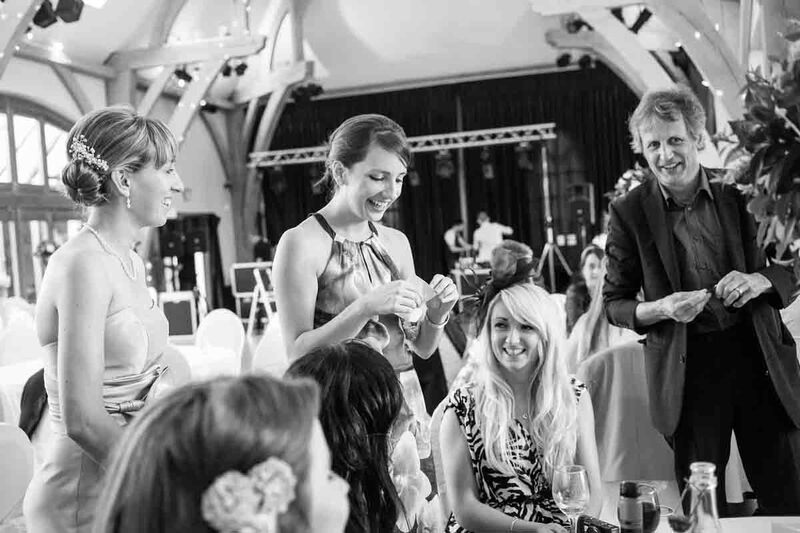 I perform top quality magic that will enhance all occasions and make it a talking point for a long time afterwards. Please feel free to contact me at any time for advice or a quote. Many of the venues near Bridgend can be found in Pyle, Llanharan, South Cornelly, North Cornelly, Tondu, Brynna Maesteg, Aberkenfig, Ogmore vale, Brackla, Nottage, Broadlands, North Cornelly, Pencoed, Bettws, Blackmill, Blaengarw, Garw valley, Bridgend, Brynmenyn, Sarn, Bryncethin, Garth, Kenfig. Hi Luke, I just wanted to say thank you for the amazing tricks you performed at our wedding! I have had brilliant feedback from our guests and we would greatly recommend you to all.